Hello and welcome to our website! We are your specialist in Thuringia / Germany for the export of used tyres. Our website offers you a fast and easy possibility to contact us. Use it as an entrance into a long-lasting and pleasurable cooperation! 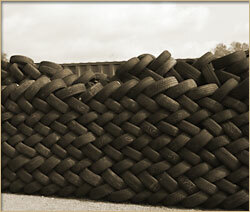 We can offer you not only large amounts of used tyres for export but also for the disposal of your old and used tyres.